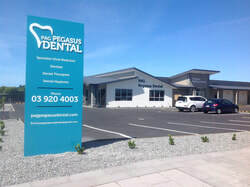 Pegasus Dental brings high quality dental care to the North Canterbury community from its’ modern purpose built practice in Pegasus Main Street. Pegasus Dental provides complete dental services to North Canterbury. The Team is led by Dr Ajith Polonowita (a Specialist in Oral Medicine), Ms Anna Gardner and includes clinicians Chaelin Kim, Minjoo Lee and Yun Lee. All clinicians are family orientated and New Zealand trained. Auxiliary Staff (See staff Profiles). Most of the staff have between 20 to 30 years’ experience within the Dental industry. PAG Pegasus Dental works closely with its neighbours Pegasus Medical, Pegasus Pharmacy and Physio-South to bring wrap around health services to Pegasus and beyond. Late night Tuesday by appointment. Early morning Wednesday by appointment. 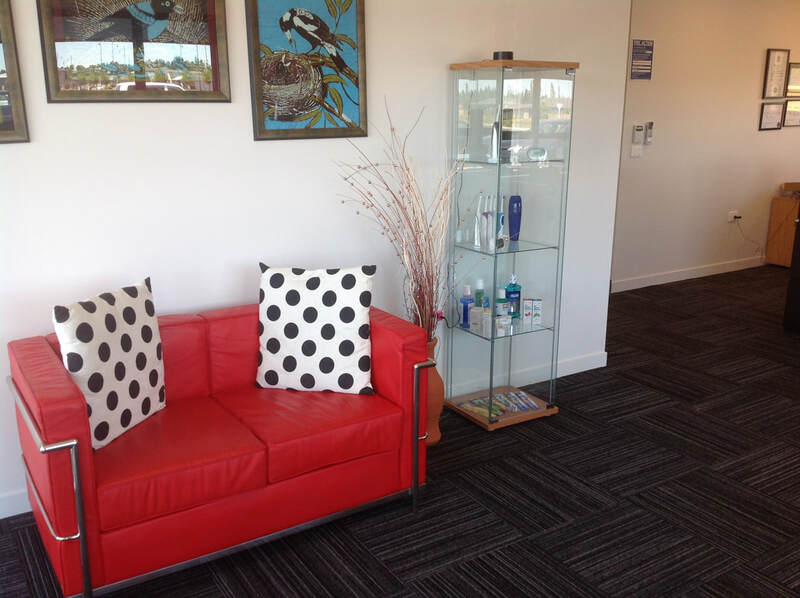 Silverstream Dental offer a wide range on dental and oral health care services including general dentistry, children dentistry and cosmetic dentistry. Find our full list of services here. Claire is a resident of Pegasus and is looking forward to working in the community. She has had many years experience working with Oral Surgeons, Oral Medicine Specialist (Dr Polonowita) and General Dental Surgeons. Claire enjoys golf and walking. Claire joins us “Manager of First Impressions” (also known as Receptionist). Claire’s background is extremely varied and includes working as a School Dental Nurse on the West Coast. She has a raft of transferable skills to draw on, some of which are useful in a Dental Practice. Family is her main focus and she enjoys spending time in the garden. Born in Korea, Yun has lived in New Zealand for over 9 years. He trained in Oral Health at Otago University and is an Oral Health Therapist (Dental Hygienist and Therapist). 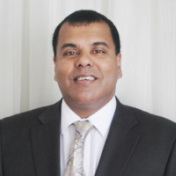 He has an interest in children’s dentistry, particularly from a preventative dentistry perspective. Lynn is a Pegasus resident. She qualified in England with a BTEC National Certificate in Dental Assisting. 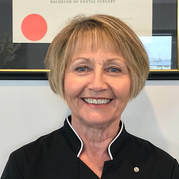 Lynn has twenty two years experience as a chair side assistant covering most aspects of dentistry, and enjoy being part of a professional team. She has lived in New Zealand for 19 years, working in Auckland and Christchurch. ​In my free time she enjoys walking and Golf. 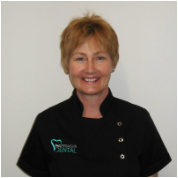 Anna, a qualified Dental Therapist with over 20 years experience in the industry and is highly regarded within the school and community dentistry. Providing all aspects of children’s dentistry for 10 years to schools around Christchurch including fillings, extractions of deciduous teeth, cleaning and scaling and oral health to children and their parents/guardian. 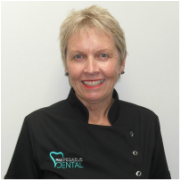 Anna left the service temporarily to focus on her two daughters, during this time she gained early childhood qualifications and returned to full time dentistry in 2007. Chaelin is a graduate from the University of Otago with a degree in Bachelor of Dental Surgery. She was born in Seoul, Korea and grew up in Auckland. She finds joy in discovering new delicious food and watching movies at cosy cinemas. She is enjoying the sunshine at Pegasus Town and excited to meet the whole community. Minjoo graduated from the University of Otago and is passionate about providing quality dental care in a friendly, gentle and honest manner. She enjoys getting to know patients and working together to improve oral health. Outside of dentistry, she loves to travel, eat food and spending time with family and friends. Alice is a bubbly young mum who is very enthusiastic and caring. She is a great asset to our practice and makes her patients feel comfortable. Our practise continues to grow, thank you for recommending us. Disclaimer: The information provided on this site is provided with good faith with best possible accuracy. No liability is accepted for the information taken from this site by any individual or how they use it. Clinicians and students should make their clinical judgment and use the material in this site as a supplement to the clinical skills and knowledge they possess. Patients using the information from this site are advised to consult their clinician first. Oral Mednet or its associated persons do not take any responsibility for the use of material provided on this site and reliance of any material is entirely at your own risk.